See, wasn't that pleasant? Just you and some farmers getting work done on the old homestead. Life is simple, life is good. Like the trailer says, Farming Simulator 15 is considered the most complete farming experience on the market. The series has been around for nearly a decade and has sold millions of copies. Developer Giants Software is definitely onto something. The next-gen console debut should pull in plenty of new workers to help labor in the fields. Did I say workers and labor? I meant players and play. 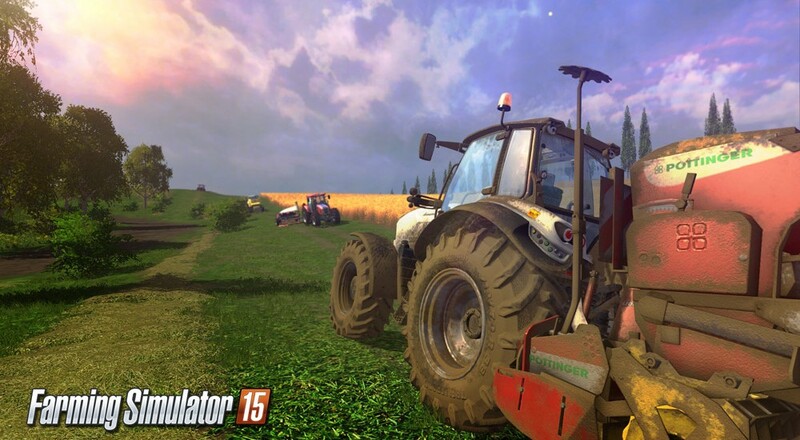 Keep an eye out for Farming Simulator 15 on PlayStation 4 and Xbox One on May 19th. (The PC version released last October.) It supports online co-op for as many as 16 people, and you'll need every pair of hands you can get to make sure your farm is running smoothly.